The Law Office of Neil C. Kerch LLC offers services for General Litigation. We are very selective in the types of cases that we choose to represent. We are very selective because we want to ensure that every client receives the highest quality legal representation. 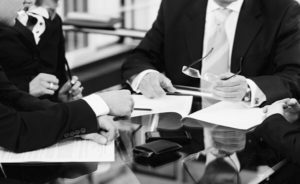 Our General Litigation services include matters that typically are better served by accessing an hourly attorney rate. Matters that fall under our General Litigation services include but are not limited to Motions for Early Termination of Probation, Modifying Terms of Probation, First Appearance Hearings, Vacating Bench Warrants, Restitution Hearings, Civil Restraining Orders, Document Review, Police Interviews, Power of Attorney, Medical Authorization Forms, Corporate Formation, Family Law Matters, Wills and Trusts, and other general matters.